Welcome Baby E to the Brunswick Ohio baby photographer blog! My goodness, how I love watching these little babies grow over the first year! 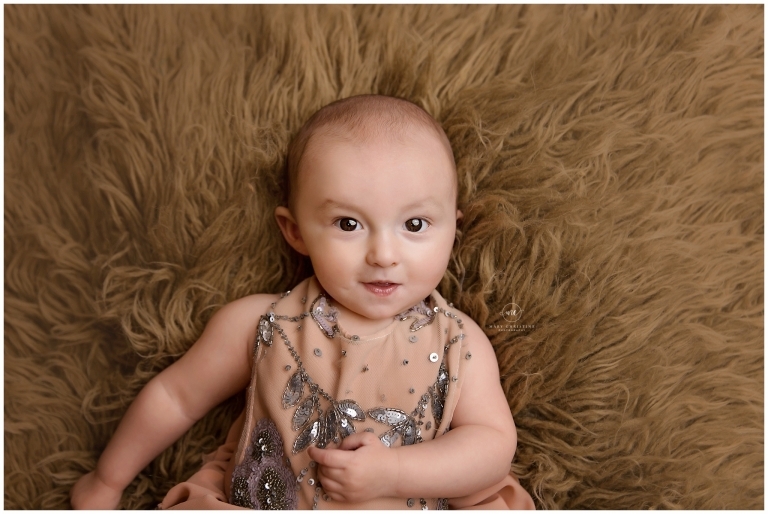 Little Miss E came in for her newborn photography session almost six months ago, my goodness, how quickly time flies! She is still just as sweet and adorable! While some babies are able to sit up by six months, most can not sit well on their own yet. Which is fine! We can do tummy time and use props to help them sit on their own. Before babies can crawl is a great time to photograph their sweet personalities. They are usually pretty happy to sit and interact during their photography session. Gummy smiles are the best! Can you spy a dimple? How sweet is Miss E’s little grin? If you have followed any of my work, florals are my all time favorite. I love the simple organic look. 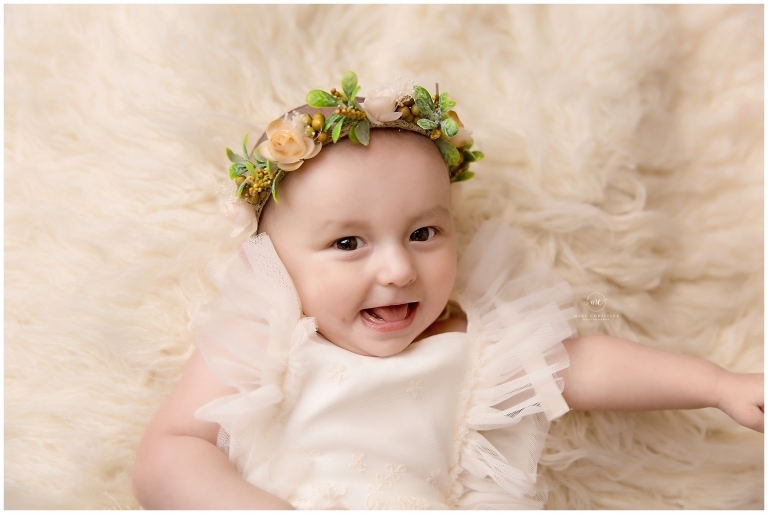 In crowns and with props, they are the perfect feminine touch! 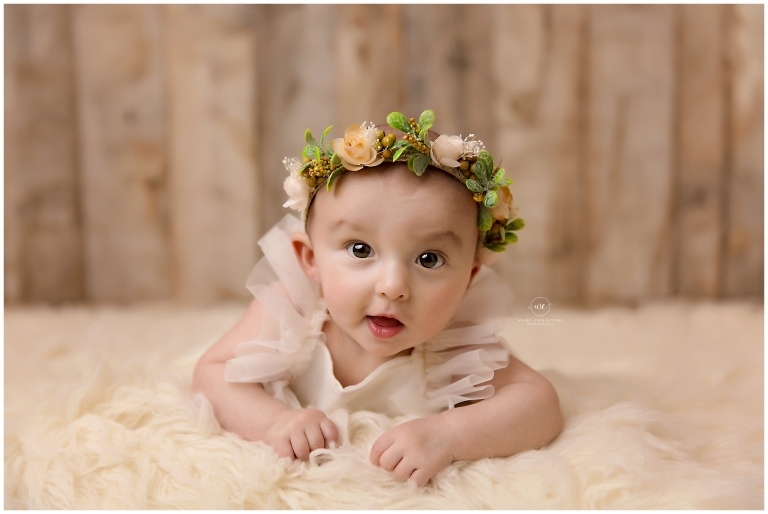 This floral crown and romper from Baby Bliss Props is one of my favorites! Did you know that all outfits are provided for sitter sessions? It’s true! All we need is your baby for the session! Well hi there, baby girl! There is something so sweet about tummy time and those little toes! These little ones grow up so quickly! Watching these babies grow is so amazing. They change so much in the first year! Thank you so much for stopping by the blog! 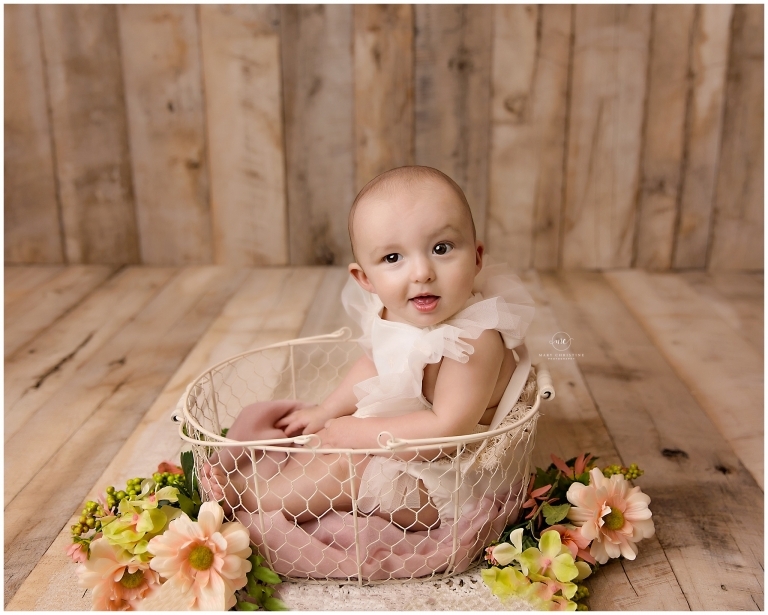 Are you looking for a Brunswick Ohio baby photographer? Mary Christine Photography is about twenty minutes away from Brunswick Ohio and specializes in bump to baby photography. Please contact me today to chat about your baby’s session! I would love to meet you and your baby!